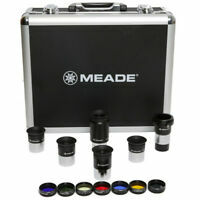 Details about Meade Series 4000 56mm SUPER Plössl Eyepiece (2") 50° AFV + 21mm Eye Relief!! Meade Series 4000 56mm SUPER Plössl Eyepiece (2") 50° AFV + 21mm Eye Relief!! 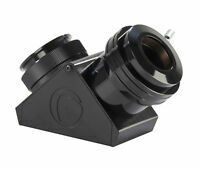 The Series 4000 56mm eyepiece includes a soft rubber eyeguard, custom fitted to the eyepiece with a bayonet mount. A rubber grip is provided. Series 4000 56mm Super Plossl Eyepiece (2") # 07178-02. The Plössl is an eyepiece usually consisting of two sets ofdoublets, designed byGeorg Simon Plössl in 1860. This 56-mm Plossl has an approximately 50 degree field. On a C8 the true field is 1.4 degrees at 36X. On my Mewlon 210 the field is 1.16 degrees at 43X. Compared to even a 68-degree eyepiece, the AFOV is narrow, but there's a lot of eye relief and no kidney-beaning even for someone like myself who wears glasses. It's a good deal; the Televue 55mm is probably better, and the 41mm Panoptic would be even better (at 6X the cost). I got the 56 mm 2" product and it is amazing for the money. crisp clean views and good eye relief. I use it for all my deep space objects and it does a great job. A great low power eyepiece, superb for SCT, MAKs any scope really, encompasses a nice large area and nothing else to touch it for the money. Highly recommended. I recieved the item as described. Looks great and I’m looking forward to using it! 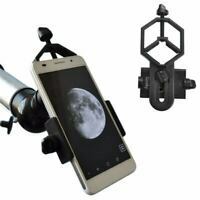 Great eyepiece for the money. Crisp views to edge of eyepiece. Excellent for low power viewing of dso's.